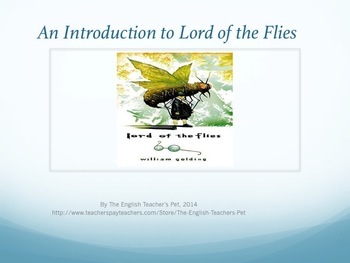 Make your Lord of the Flies unit complete with this bundle of beautifully designed materials that will take your class through weeks of PowerPoint discussions, chapter questions, and ready to print projects covering William Golding's classic novel. 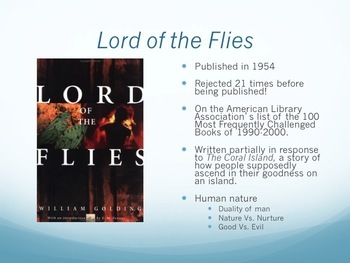 Add a class set of Lord of the Flies novels and you’re ready to read today! 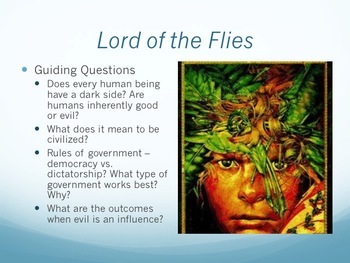 Lord of the Flies Powerpoint Game. 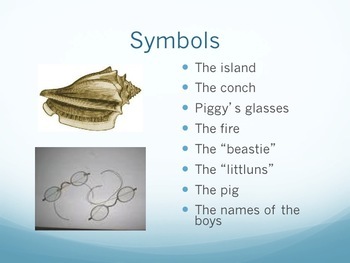 Lord of the Flies Themes and Characters PowerPoint.